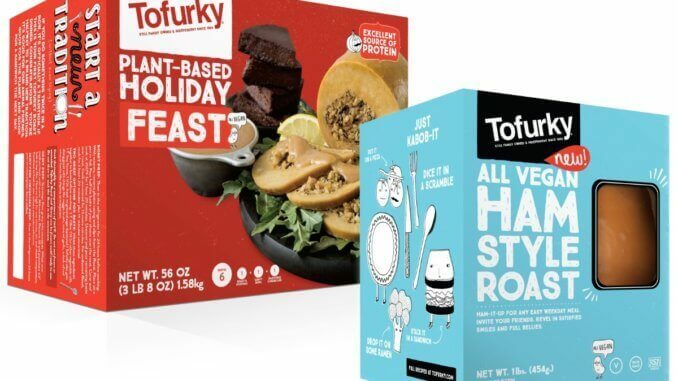 Tofurky, based in Oregon USA, has announced this week that it has raised $7 million investment from an outside, undisclosed source. Since 1995 Tofurky has produced Vegan Society Approved turkey replacement foods, made from wheat protein and organic tofu. CEO Jaime Athos has stated that revenues at the company grew 20% in 2018 from 2017, and this should continue to grow due to the global explosion of plant-based food. Vegconomist reported in September last year that the company had extended its range to include a ham roast and was about to launch the Moocho cheesecake line, as they moved into the vegan dessert sector. The desserts now available come in three flavours; Triple Berry Swirl, New York Style Vanilla, and Chocolate.